Messaging can be a very effective tool for generating leads and turning them into sales as more and more people choose this method to communicate with brands. 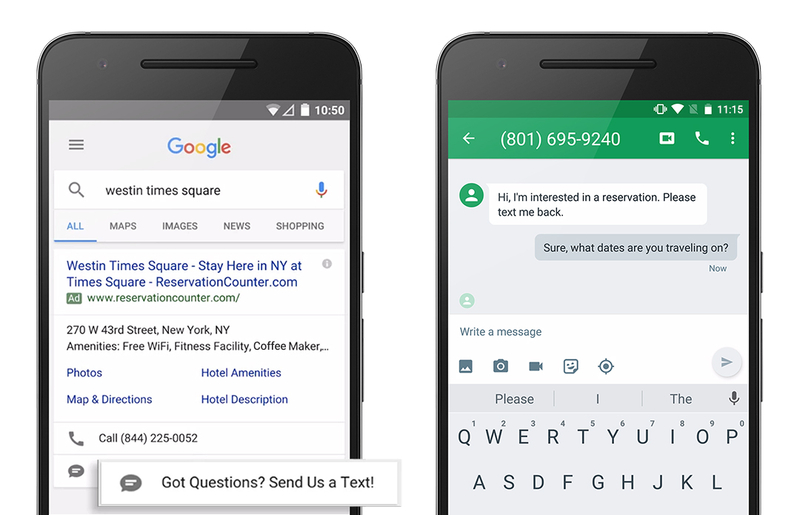 Not one to miss on a trend, Google is rolling out a new click-to-message option in AdWords search ads. Google says 65% of consumers would consider using messaging to connect with a business to get information about a product or service. Facebook is also ramping up its own Messenger client as a customer service platform and is known to be working on a similar click-to-message ad product. Meanwhile, WhatsApp, which is also owned by Facebook and has over a billion monthly active users, has confirmed it will begin to integrate businesses services into its app before the end of this year. The new option gives advertisers a faster way to connect with consumers on mobile and increase conversion rates. It’s also good for who’d rather avoid being put on hold, listening to a list of menu options and waiting to get transferred to a human being.